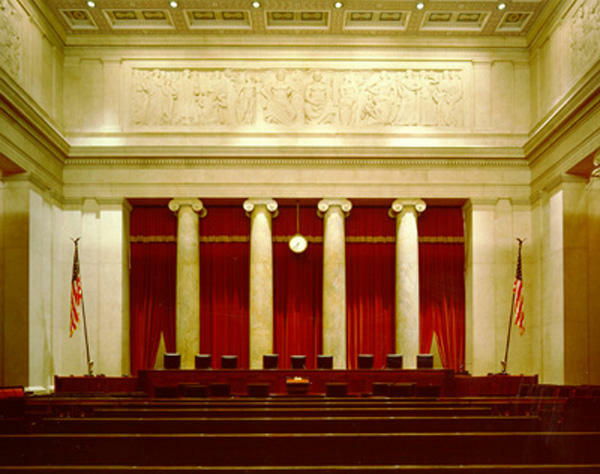 Observations: What Questions Are Appropriate to Ask a Nominee to the Supreme Court? What Questions Are Appropriate to Ask a Nominee to the Supreme Court? That is a short list. The list of questions that are not appropriate is much longer. Let’s go over some of those first. It is not relevant what positions the nominee took on behalf of a client. The political affiliation of a nominee is irrelevant. A nominee’s religious preference, or the lack thereof, is not relevant. The personal beliefs of a nominee on hot-button issues are not relevant. It is inappropriate to ask a nominee to pre-judge cases before they reach him or her. It is not relevant what the spouse does, or to what organizations the nominee and/or the spouse belong. The list goes on. Why don’t we look to the past for some guidance on this subject? Democrat Senator Joseph Biden was Chairman of the Senate Judiciary Committee when Ruth Bader Ginsburg was nominated to the Supreme Court. After Judge Ginsburg was nominated, Senator Biden in July 1993 expressed the standards he expected senators and judicial nominees to follow in the confirmation process. Senator Biden noted that the Senate’s hearings, including the question-and-answer period between senators and the nominee, should not be a “dramatic spectacle” or a “trial.” Senator Biden also emphasized that the nominee’s appearance before the Senate should not be invested with a make-or-break importance, as the Senate’s hearings are only one part of the confirmation process. Fast-forward to today to the upcoming hearing for John G. Roberts, Jr. Democrats seem to have forgotten the rules established by one of their own, in their desperation to find some reason, good or not, to oppose his nomination. If Judge Roberts declines to answer questions about his views on both prospective and historical cases, it’s a good bet that Democrats will conveniently forget Judge Ginsburg’s precedent, or try to rationalize it away. Senator Kennedy knows this, of course, but that won’t stop him from bashing Judge Roberts about it. The White House Counsel’s office is the President’s legal team. It is the job of the Counsel’s Office lawyers to render legal opinions and to explore the legal implications of the policies and initiatives of the President. It’s the same thing your lawyer does for you, whether writing a will, creating a contract, representing you in a civil action, or defending you against criminal charges. His actions in that capacity are simply, plainly, of no consequence in considering his qualifications to serve on the Supreme Court. Wrong again, Senator. The Voting Rights Act’s “importance” is not a proper concern for a Supreme Court Justice, its constitutionality is. “Meanwhile, conservatives such as Manuel Miranda, chairman of the Third Branch Conference, have been reading the memos with equal interest,” the Times story said. “In a Wall Street Journal online column yesterday, Mr. Miranda said one sentiment is shared among conservatives after reading the memos: ‘What a relief. Judge Roberts's writings as a young lawyer show him to be a solid constitutionalist.’"
Now there’s a relevant issue. 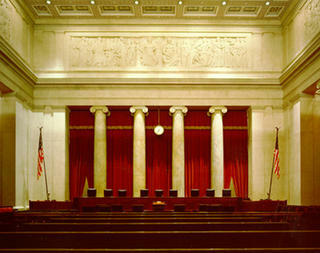 Is a nominee a constitutionalist, an originalist – meaning one who will apply the Constitution to rulings? Or is the nominee an activist – meaning one who rules using personal beliefs, the opinions of outside forces, and public or private interest? The former is suitable. The latter is not. Judge Roberts’ hearing promises to be a spectacle, a circus, because the Left cannot advance its poisonous ideology through the legislative process, as the Constitution demands, it can only do so with the help of Supreme Court Justices who will ignore the Constitution to impose policies and laws that the Left cannot get the people’s approval for through the Congress.